At the Annual CCL Luncheon on 29 December 1992, held during the MLA Annual Convention in New York City, President Jewel Spears Brooke presented inaugural Lifetime Achievement Awards to Cleanth Brooks and Richard Wilbur on behalf of the organization. The Conference on Christianity and Literature is today presenting two very special awards, our Lifetime Achievement Award in Poetry and our Lifetime Achievement Award in Criticism. These awards are in grateful recognition of the gifts of a lifetime, fruits which have nourished all of us in this profession and which in our judgment will enrich gener­ations to come. Our students and our students' students will be blessed by the work of those we honor today. These awards, given to persons of the highest distinction, are reserved for those whose work is rooted in and contributes to our Christian heritage. The Lifetime Achievement Award in Criticism is being given to Cleanth Brooks, Gray Professor of Rhetoric Emeritus at Yale, a legendary figure in his own lifetime, a man whose contributions to humane studies are simply immeasurable. Love, W. H. Auden said somewhere, is another word for intensity of attention. By this standard, Professor Brooks is one of the century's greatest lovers. He has devoted his life to "paying attention"—intelligent, passionate attention. 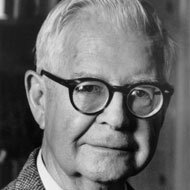 As the man John Crowe Ransom referred to as the century's best "reader," he is clearly someone who has paid attention to texts. He is a generous reader, always beginning with the assumption that the text at hand is a rich one—his version of "innocent until proven guilty." But paying attention to texts has always been for Professor Brooks part of paying attention to people—to his students, his colleagues, and his readers. The series of great textbooks which revolutionized English studies in the middle of this century all arose from taking teaching seriously. He has often told the story of how he and Robert Penn Warren came to write Understanding Poetry, how they were forced by the poor quality of existing materials for their students to provide their own study notes. Understanding Poetry wasfollowed by other textbooks—Under­standing Fiction, Understanding Drama, Modern Rhetoric, and Ameri­can Literature: The Makers and the Making, all exemplary and extraordi­narily useful. These works are all collaborations—in the poetry and fiction texts, with Warren; in the drama text, with Robert B. Heilman; and in the American literature text, with Warren and R. W. B. Lewis. These works are part of a living witness to the fact that Professor Brooks pays attention to colleagues and fellow teachers. Another of his works, Literary Criticism, a landmark in the field, was also done with a fellow teacher, W. K. Wimsatt. Modesty, an uncommon quality in contemporary criticism, has led him to emphasize what his collaborators have done, to let his own indispensable contributions be almost anonymous. The Well Wrought Urn, surely one of the most influential books of the century, is another book which originated from his work in the classroom, a fact memorial­ized by its dedication to his students. Even the most technical of his work seems to be a natural extension of his teaching. Anyone who has read the work of Professor Brooks must be irritated at the caricature of him which has been promoted by some in our profes­sion. It is truly amazing how far from the truth his detractors have strayed. Rather than being a scholar cut off from people and from history, he is the epitome of a citizen scholar, a scholar whose every movement shows a awareness of history and of his own special responsibilities to his reader. I mustn't mention all of his books, all of the places he has taught, all of the offices he has held, all of the honorary doctorates—such awards as the Guggenheims and his Jefferson Memorial Lectureship are all listed in his long entry in Who's Who. But what I must mention is the reason, over and above his general distinction, that he is receiving an award from our organization. The first is that his character and personal attitudes exemplify to a striking degree the great Christian virtues. Faith, hope, charity as defined by St. Paul, love as defined by Auden, courtesy as used by Edmund Spenser, humility as T. S. Eliot in Four Quarters came to know it, respect for human life, a persistent inclination to notice and celebrate the good. If you have read him, you will know that these are not empty compliments. If you know him personally, as I do, you will realize how inadequate they are. Our second reason for giving this award to Professor Brooks is that his writing from the very beginning has been informed by a moral and religious understanding. His point of view, while not propagandistic in any way, not even overt, reflects Christian humanism at its best. His central position, at least as I see it, has to do with the complexity of truth and the complexity of human nature after the Fall. His central strategy is to reveal complexity, to expose the easy and partial response to life and to literature. His understanding of complexity is rooted in a Christian recognition of evil and a Christian hope for redemption. His emphasis of such rhetorical devices as irony, paradox, ambiguity, and wit is grounded, it seems to me, in this orthodox Christian understanding. Professor Brooks is a faithful churchman in the Anglican tradition. He has been scrupulous, however, in treating all authors with complete fairness regardless of their faith. He is, for example, our greatest commentator on Yeats and on Faulkner, neither Christian, although both are profoundly religious. His most extended commentary on religion and literature, a you surely know, is in The Hidden God. The award which we are presenting Professor Brooks carries a quotation from Stephen Spender's "I think continually of those who were truly great." This award was created by an award-winning American calligrapher, Margaret Rigg, who teaches at Eckerd College in Florida. If you an interested in seeing this lovely work at closer range, please come up at the end of the luncheon. Professor Brooks, thank you for a lifetime of service, and thank you for coming today to accept this tribute. We all join in wishing you continued good health and much happiness in 1993.